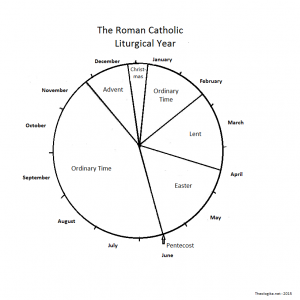 How long is Lent? I’ve heard that it’s 40 days, but when I counted the days on a Lenten activities calendar there were 46. What’s that all about? The season of Lent is 40 days. 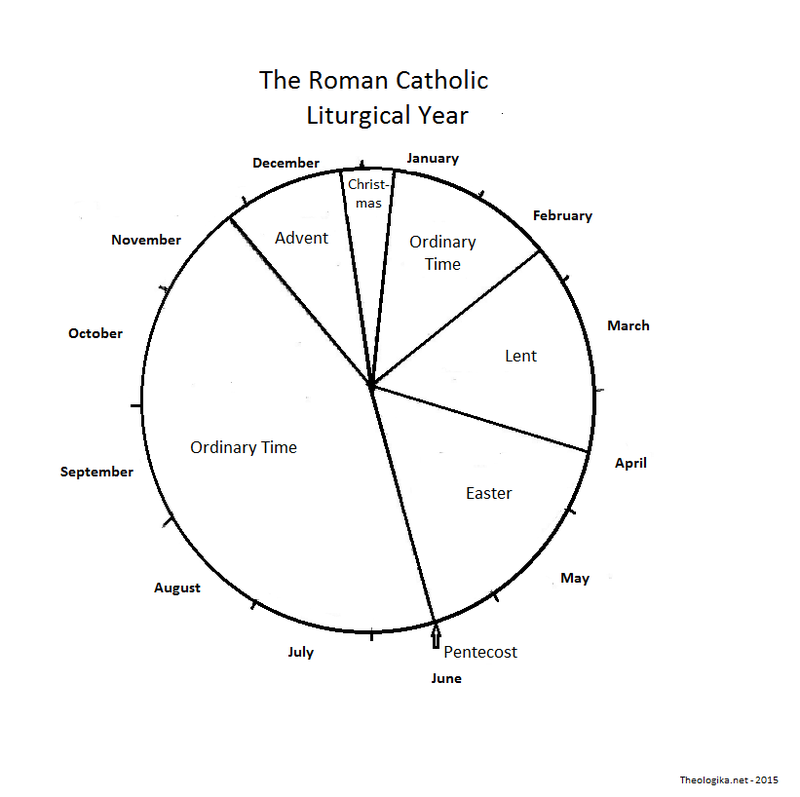 However, the number of calendar days from start (Ash Wednesday) to finish (Holy Saturday) is not 40 days. Sundays, the day on which we celebrate the Resurrection, do not count as days of Lent. Because it takes just over 6 weeks to get 40 days if we don’t include Sundays, the six Sundays during Lent make up those extra 6 days you found. Since we make such a big deal about getting 40 days for our spiritual preparation for Easter, it’s reasonable to wonder what difference it would make if we had only 39 days. Why is 40 the important number? Matthew, Mark, and Luke, authors of the first three Gospels, all tell us that after Jesus was baptized by his cousin John in the Jordan River, he went out into the desert for 40 days and nights. He fasted while he was there and the evangelists tell us he was hungry by the end of those days. Matthew and Luke tell us of his encounter with Satan, the deceiver/tempter, who tried to convince Jesus to take things into his own hands, working miracles for his own benefit: getting food for himself from stones, amazing the crowds with supernatural displays, and winning political power over all the nations. Jesus, despite his hunger, turned the tempter away, finally reminding him of the scriptures, “You shall not put the Lord your God to the test” (Lk 4:12) and “You shall do homage to the Lord your God; him alone shall you adore” (Mt 4:10). Matthew and Mark tell us that angels came to comfort Jesus following this time of temptation. We would say he experienced consolation. Luke tells us the tempter left Jesus and waited for another occasion to tempt him again (Lk 4:13). It wasn’t all over in one 6 week season for Jesus and it’s not over for us that quickly either. It was not by accident that Jesus spent 40 days in the desert. The number 40 has been important to the Jewish people for a long time. The story of the great flood is one of the earliest 40 day events in Judeo-Christian history. Long before Abraham, Isaac and Jacob, God spoke to Noah, a just man in a world filled with “wickedness”. Following God’s instructions, Noah built an ark, a great boat, filled it with male and female members of each living species, and waited for the rains to begin. When the rains came, they continued for 40 days and 40 nights before stopping. The flood covered the earth for months before it the ark settled on the land again. When the animals and people left the ark and again moved out to re-populate the land, God placed a great bow (a rainbow) in the sky as a reminder of the promise he made to Noah and his descendants that the earth and its creatures would never again be devastated by such a flood (Gn 6:5 – 9:17). When Moses led the Israelites (the descendants of Israel) out into the desert and away from slavery in Egypt, it should have been a relatively short walk back to Palestine, the land from which Joseph and his brothers had all come. Instead, the entire people, now a very large group, wandered around the Sinai peninsula and into lands farther east for 40 years. Why? Because the people broke the Law. They doubted God’s word and did things their own way. Even Moses did not obey God perfectly. When God told Moses to strike a rock at Meribah and water would come forth, Moses hit it twice with the staff rather than just once. God responded that since even Moses had not obeyed him exactly, he and his brother Aaron would not enter into the Promised Land (Num 20:6-13). Sounds pretty harsh, right? It’s important to remember as we read these accounts of ancient events that they were not written down in the form we have received them until much later. They are, at least in part, an attempt to explain what has happened in the history of ordinary men and women. The stories/explanations have been passed down as oral tradition for generations, carefully memorized and recited so that a system of beliefs and cultural practices would not be lost. Those years in the desert were not lost time for the Israelites. They became a united people, one made up of twelve tribes descended from the twelve sons of Jacob/Israel. They received their Law in the desert. They celebrated the Passover in the desert. They learned that their Lord would travel with them and remain present among them in the desert. When the time was right, the Lord led them back into the land from which they had originally come. With Jesus, as we move from the celebration of his baptism towards the fulfillment of his mission on the cross at Calvary, we go into the desert ourselves for 40 days, remembering his time there and that of the family of Noah isolated by the flood and of the Israelites wandering in the desert for 40 years. We deny ourselves some pleasures and comforts to which we have become accustomed. We choose to do good things we might not otherwise do. We hope to become more loving, more compassionate, more open to see God’s hand in all of creation, more ready to serve God’s most vulnerable ones. After 40 years in the desert, the Israelites still were not perfect in their following of the law or in keeping the Covenant. Noah and his family were not perfect after their experience on the ark. We won’t be perfect in 40 days either. But if each year we can stop for 40 days and remember our need for God, resolving to open our eyes to see the light of God’s presence in all around us, we too will grow closer to the ideal that Jesus lived. Since we live in the light of the Resurrection, we stop each Sunday and celebrate the reality that even death cannot overcome the light of God’s Word shining into the darkness and, by the power of the Holy Spirit, out through the face of God’s people today.